MARY JANE LIGHTCAP, daughter of John Lightcap and Mary Chamberlin, was born 22 Nov 1834 in Seneca Co, Ohio. She died 22 Jun 1877 in Melmore, Seneca Co, Ohio. She is buried at Rock Creek Cemetery in Seneca Co, Ohio. 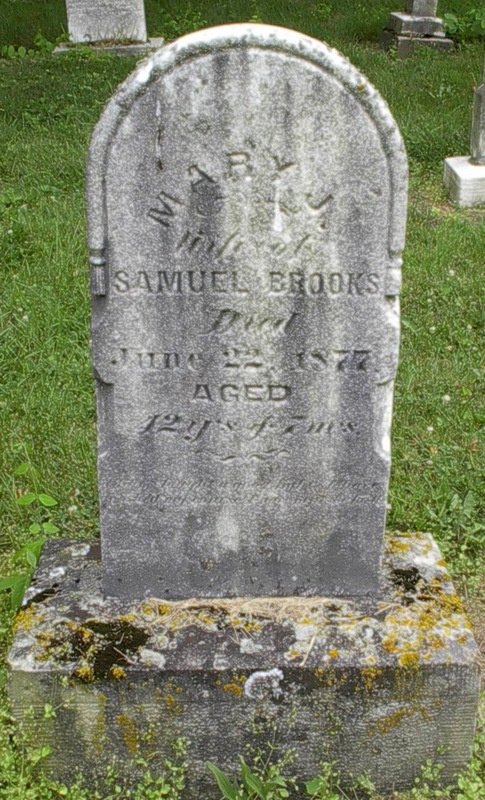 She married SAMUEL JARVIS “Tony” BROOKS 30 Dec 1852 in Seneca Co, Ohio, son of Jonathan Brooks and Rebecca. He was born 07 Apr 1833 in near Auburn, New York. He died 15 Jan 1914 in Melmore, Eden Twp, Seneca Co, Ohio. He is buried at Rock Creek Cemetery in Seneca Co, Ohio.